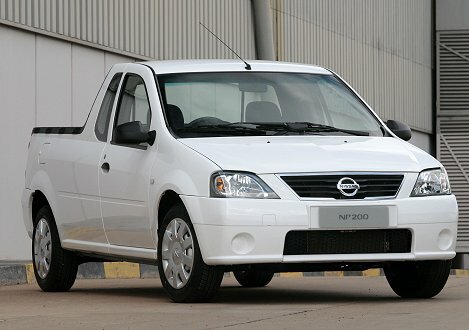 As Wheels24 previously reported, Nissan's replacement for the iconic 1400 bakkie is called NP200. We attended the official unveiling of the all-new half-tonner. When Nissan realised about four years ago that the 1400 bakkie would not be allowed to continue for much longer - production was ceased primarily because it could no longer fulfil local emissions requirements that came into effect in January 2008 - a global half-ton bakkie was proposed. Nissan Japan and Europe's design and engineering teams developed the all-new model, which is not a Dacia, but shares its X90 platform with its Renault alliance partner. South Africa was identified as a pilot market for the vehicle due to its extensive experience in this segment. This necessitated a R1 billion investment in Nissan SA's Rosslyn plant. The manufacturer aims to produce roughly 20 000 units per year on a three-shift system once production is fully on stream. And while production will initially be for the South African market, export to the rest of Africa and even one South American market is a possibility in the mid-term. When the NP200 goes on sale in South Africa in October, it will be powered by a 1.6-litre eight-valve petrol unit producing 64 kW and 128 Nm. It has a load capacity of 850 kg, the largest in is segment, according to Nissan. “From now till October many performance, durability, quality control and reliability tests will take place,” said Mike Whitfield managing director of Nissan South Africa. The 1400 bakkie was in production for 37 years, first as the Datsun 1200 which was later rebadged Nissan 1400. The longest-serving model in South Africa, during that time more than 275 000 units of the rear-wheel driven bakkie were sold. Nissan makes no excuse that the 1400 is hardly sophisticated, acknowledging that the old stager remains virtually unchanged from the first bakkie to roll off the production line in 1971. It also acknowledges that up to three in every five 1400s will be stolen. Hot wheels, hey? However, if you'd like to own a piece of history, 150 Heritage Editions of this iconic bakkie are being released. The limited edition models are mechanically identical to the regular bakkie, although it adds bucket seats and nudge and tow bars. Each model is numbered and comes with a certificate of authenticity too. The Nissan 1400 Heritage Edition costs R89 100.